Does Your Billing System Cut it?  - ONRAD, Inc.
10 Aug Does Your Billing System Cut it? DiagnosticImaging | Radiology bills aren’t straightforward – they get split into categories for professional or technical services with more than one entity often billing for different elements of the same procedure. Choosing the right financial and billing software system, or the best vendor to outsource billing to, is a critical business decision not to be taken lightly. How do you make the decision to bill in-house versus using a billing service? What factors should you consider when choosing a software system? Who can provide you with help and information? Read on. Rutter noted that because radiologists can be based at a hospital or imaging center (or both), the financial system must connect with the RIS, integrating so the software can register patients and immediately check insurance coverage and eligibility. At an imaging center’s front desk, staff can quickly learn about any coverage issues. They can also know whether the patient has defaulted on bills (and collect on those), whether they need to make payment arrangements or collect from the patient at that time. Part of the automation process might mean using added-on components, including third-party integrated software, or sending data out to vendors for processing. As part of claims cycle, the system may use an interface to get the data, match up the demographic files with the charge files, include the actual radiology report for accurate coding, go to an outside coding vendor, receive the coded information and send it through a scrubbing system in the financial software, and send the claim out without human intervention, unless there’s an exception, said Delena Supinski, Regional Account Executive for Technology Partners dba Imagine Software. “That’s how you get that volume out,” she said. Sending out a clean claim not only brings in funds faster, it avoids the costly process of researching and resubmitting it. Any missing information can cause a back-end denial which costs the practice money in time spent to manually fix the error. It’s also important to have a strong claim process and statement process for collecting private pay and balance after the insurance is paid. “If the processes aren’t solid and automated, it is going to impact the radiologists’ revenue and earnings, through unpaid accounts and failed claims,” Rutter said. Deciding whether to bill in-house or use a billing service isn’t as easy at looking at straight-up costs, though that’s important too. The decision is sometimes made based on the economy of scale or the size of the practice. But it’s also based on the comfort level of the practice in handling billing or sending it out, the amount of control the group wants and the qualifications and experience of the radiology office staff. “When you do it in-house you have more control and more headaches, because you’re managing people,” said Supinski. However, she added, a billing company will go through the very same thing, managing their own people and the integration with your practice, which has its own stress component. Billing services use a variety of methods to charge for their work, based on a percentage of revenue, or a fixed cost per CPT code. The rates also depend on volume and location. Worth Saunders, CEO of Greensboro Radiology, says that it’s easiest to compare billing rates based on procedure code, usually costing two dollars at the low end, up to four dollars. As for percentage, pricing can get murky depending on your mix of business – whether you’re charging globally (for technical and professional services) or only for professional services. If you’re billing in-house, you’ll have to factor in not only the software system and support, but office personnel, allocation of rent and office supplies, and periodic outside audit compliance, said Saunders. Another consideration is the effectiveness of the billing – how much are you collecting on each bill, and can that be improved by changing software vendors or who does the billing? Saunders went through the software search process last year for his group, which includes 45 radiologists working at eight hospitals and five outpatient clinics. Under a newly spun-out business, the practice also bills for three other entities, and implemented the new financial software in October, 2010. While going through the process, he looked at the functionality and capabilities of various systems, as well as how they fit into the practice’s business goals. Some vendors primarily focus on licensing software for in-house billing, and others on selling billing services. Greensboro Radiology narrowed it down to three vendors: Zotec Partners (whose software they previously used), Imagine Software and Merge Financials. After narrowing it down to several vendors, the next step was to call references (network and find them on your own – don’t just rely on the vendor) and do site visits to see the system in practice. Several sources said the Radiology Business Management Association was invaluable during the research process. While Saunders said they eventually chose Merge Financials, there’s no system that’s right for all businesses. “There’s a lot of people out there who I respect who are more knowledgeable in billing, with a difference of opinion on vendors,” Saunders said. While voluntary, the Physician Quality Reporting System (PQRS – formerly PQRI) Medicare program collects data, relying on certain coding. Having a system in place now to capture those codes is very important, says Rutter. “We expect PQRI to be mandated in the future,” said Rutter.